Antiques & Uniques - IS PERMANENTLY CLOSED. Antiques & Uniques has a wide collection of wares to browse, including records, sports cards, posters, comics, and more. Antiques & Uniques - IS PERMANENTLY CLOSED. 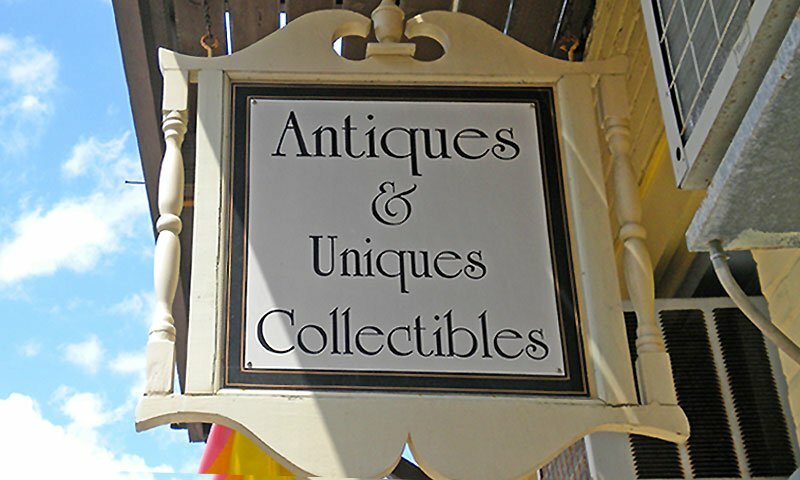 Antiques and Uniques offers a very diverse selection of antiques and unique finds. Guests can browse their wide collection of antiques, including civil war memorabilia, vinyl records, comics, sports cards, ceramics, bottles, movie items, stamps, posters, paintings, clocks, cameras and more Antiques and Uniques is interested in displaying and selling the exceptional and the eclectic. Collectors of all types can find something unique to add to their collection. The current owners of Antiques and Uniques are former visitors of St. Augustine and frequent customers of this store, and they appreciate the idea of Antiques and Uniques and continue its mission of bringing unusual items to the public. Originally built as the St. Augustine City Jail in 1888. this antique shop also offers "Ancient Aviles Ghost Trek" tours throughout the building. These limited paranormal investigations take guests through history and offer excitement for the whole family. Be the first to Review Antiques & Uniques - CLOSED!